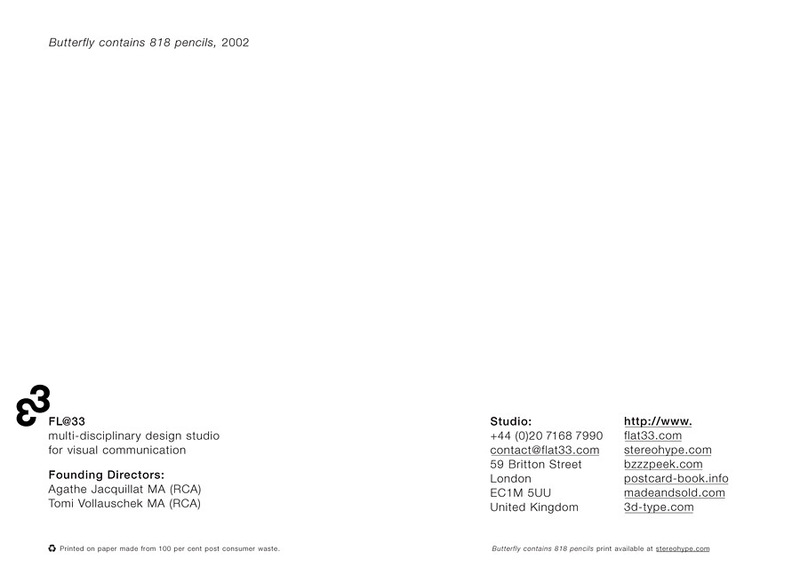 This is the sixth postcard in FL@33's little series of cards featuring memorable studio projects and visuals. Butterfly Pencil Sculpture illustration (aka Butterfly Sculpture Contains 818 Pencils) forms part of FL@33's series Pencil Sculpture Illustrations. ___ The artwork was created for the launch exhibition of the book with the same name GB: Graphic Britain (Laurence King, 2002). The exhibition took place in the former gallery space of Magma in London, Clerkenwell. 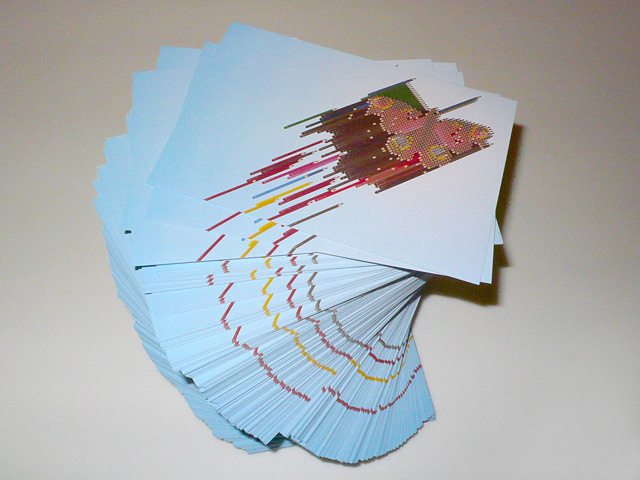 The postcard was printed in December 2010 on uncoated 100% post consumer waste and in a limited edition of only 1,000. Assorted postcards are being added to all orders of FL@33-designed products over at stereohype.com. ___ A1-sized (594 x 841mm) prints of Butterfly Sculpture Contains 818 Pencils are also available at online boutique Stereohype. The pencils on these prints are life-sized. 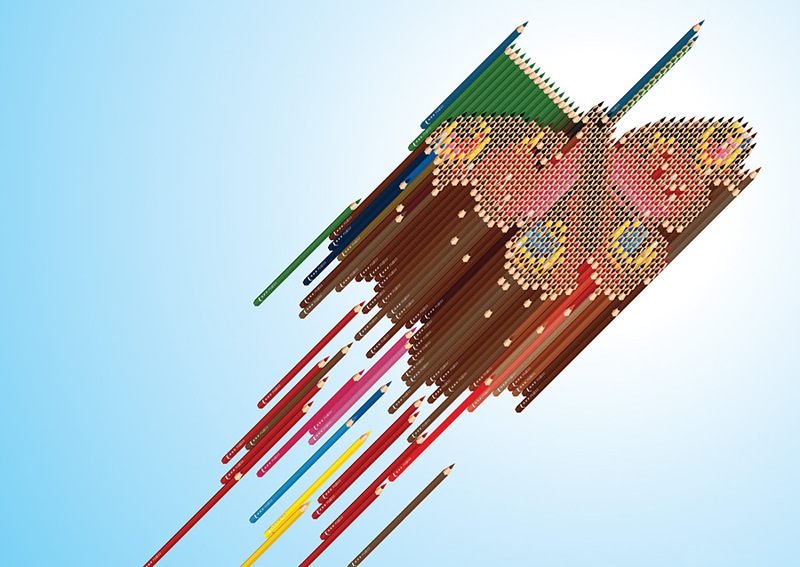 Also shown here are the two other illustrations from the series – Eye Pencil Sculpture (Eye Sculpture Contains 470 Pencils) and Butterfly Pencil Sculpture (Butterfly Sculpture Contains 818 Pencils) and the Creative Review cover. Please also visit these individual projects for larger pictures and additional info.